As members of the Barber Association and the Department of Art History, Film and Visual Studies, our students get involved in the Barber Institute’s Picture of the Month Scheme. 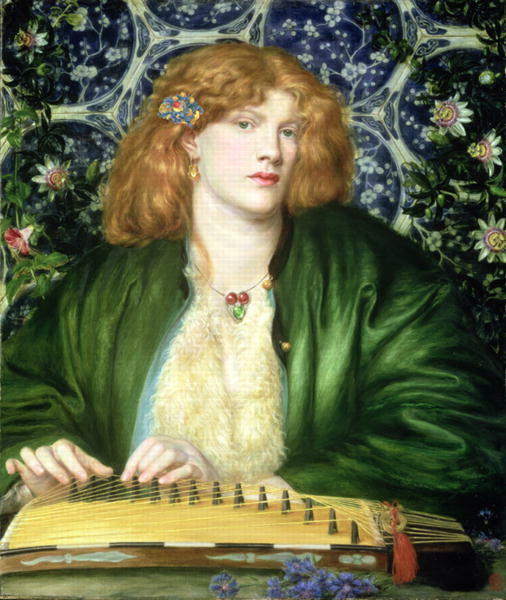 This month (March), second year student and artist in her own right, Sarah Theobald picked Dante Gabriel Rossetti’s Blue Bower which was painted in 1865. “This painting is the reason why I chose to attend the University of Birmingham. I joined ‘The Pre-Raphaelite Society’ when I was fourteen and the thought of being able to study in the same building as this exquisite Rossetti, and see the painting as much as possible, was just too enticing. You can find out more about the Blue Bower here and see it up in the Barber Galleries (Mon-Fri 10am-5pm and Sat-Sun 11am-5pm). Watch this space for Sarah’s report on her gallery talk for the Barber’s display of miniatures!